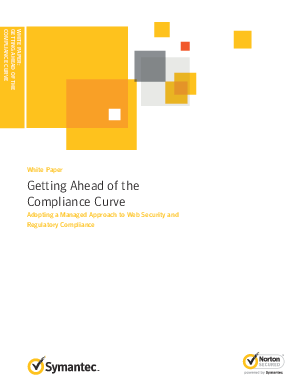 Compliance is a fast-moving target, and it’s getting harder to keep up. In a survey by IT Policy Compliance Group, a consortium dedicated to helping IT security professionals meet policy and compliance goals, 70 percent of all respondents reported being subject to multiple regulatory compliance mandates, as well as contractual obligations and industry standards. Download to learn how Symantec Certificate Intelligence Center allows enterprises to automate discovery tasks and set up alerts to notify administrators when certificates expire or require maintenance.